This access route applies only to applicants under the age of 23 (on January 1st of the year of entry) who wish to apply to the first year of any of the QQI validated full-time undergraduate programmes. For applicants who have completed the Leaving Certificate, selection is made on the basis of total points awarded in the student’s top six subjects, in a single sitting of the Leaving Certificate. 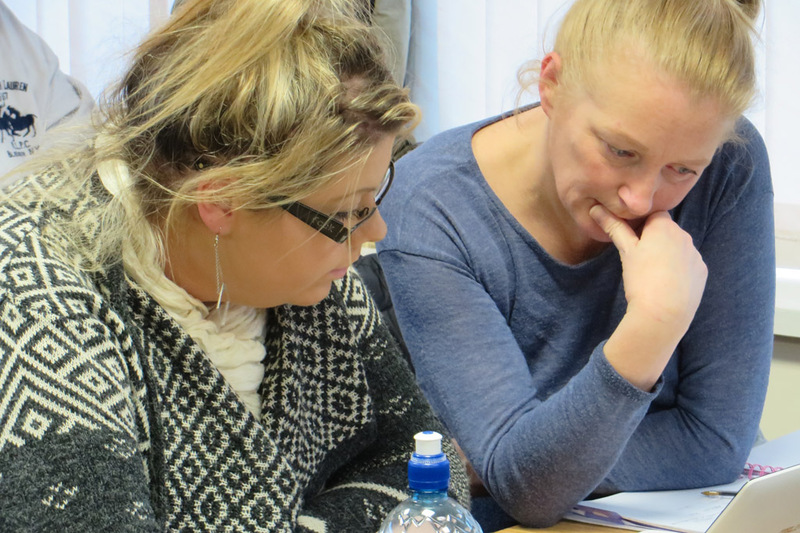 The results of two sittings of the Leaving Certificate may be combined for the purposes of meeting the programme requirements for minimum entry. The individual course descriptions contain information on the minimum CAO points applicable to each course. The closing date for CAO applications for EU citizens is February 1st, while late applications will be accepted until May 1st. Subsequent to that, applicants may complete a ‘Change of Mind’ Form which will be accepted up until July 1st. For entry to an Honours Degree programme (Level 8), the applicant must hold a QQI Level 5 Certificate with a distinction grade in at least three modules. Applicants over the age of 23 who wish to apply to the first year of any of the QQI validated full-time undergraduate programmes must apply directly to the college through a completed application form. In order to be considered eligible for entry to a programme, mature applicants are normally expected to demonstrate an ongoing interest and engagement in the subject matter of the programme. All applicants who wish to apply to any of the QQI-validated part-time undergraduate programme, irrespective of age, must apply directly to the college. Applicants are required to meet the minimum entry requirements as indicated on the course information page. Completed application forms together with relevant supporting documentation (if necessary) should be sent directly to the Admissions Office, ICHAS, Walton House, Lonsdale Road, Castletroy, Limerick. ICHAS welcomes all applications for its suite of graduate programmes through the direct entry system. In addition to meeting the minimum entry requirements, all applicants for graduate programmes must submit an official copy of third level qualifications previously obtained. All applicants who wish to apply for any QQI accredited or Life Long Learning programme should apply directly to the college. Applicants are required to meet the minimum entry requirements as indicated in the course information. Completed application forms together with relevant supporting documentation (if necessary) should be sent directly to the Admissions Office, ICHAS, Walton House, Londsdale Road, Castletroy, Limerick. ICHAS welcomes applications from students who hold qualifications from other accredited higher education institutions. Such students may be eligible to join second year or third year of the QQI Ordinary and Honours degree programmes. Eligibility is determined on a case-by-case basis and depends on the exact nature, duration and level of previous studies. Such applicants are required to submit a photocopy of existing subject results and a full course syllabus (usually available from the awarding institution), together with the application form. ICHAS has a policy in place for recognising prior experiential learning and welcomes applications from those with experiential learning experience relevant to their programme of interest. It may be possible to gain access to a programme or indeed qualify for exemptions from part of a programme based on this prior learning. All such applications are handled on a case-by-case basis in accordance with this policy and applicants are asked to contact the Registrars Office for more information. ICHAS makes every effort to accommodate learners with disabilities who wish to pursue a programme of studyat the College. Such applicants are invited to contact the Admissions Office in writing with details of the nature and extent of your disability. The application will be handled in line with ICHAS’ Equality Policy and any disclosure will not adversely affect the application and will allow ICHAS to establish the accommodation that would be required and to provide the best advice and guidance possible in advance of programme entry.